With gentle hands and decades of experience, Dr. Sonia G. Rodriguez has been providing quality dental care to thousands of children and adults in Laredo, and the Dallas-Ft Worth metroplex, for over 25 years. At My Dentist, we value our patient relationships, making it our priority to deliver gentle compassionate care. Our experienced and friendly staff works hard to make you feel at ease by assisting you with all your questions, and we strive to develop lifelong relationships with our patients by providing quality dentistry via the latest technologies. 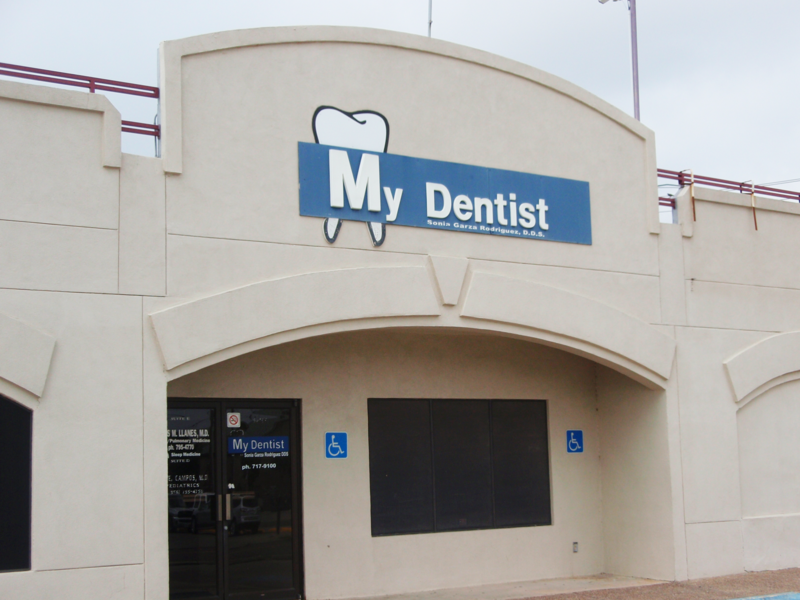 My Dentist in Laredo, TX offers services such as crowns and bridges, teeth whitening, root canals, and many more. The result is a beautiful healthy smile that lasts a lifetime! New patients of all ages are welcomed and emergency appointments are available. We accept most insurances and VA Vouchers, and we will also process your claim in order to absolutely minimize your out-of-pocket expenses. (Sorry, but we do not accept Medicaid.) All major credit cards are accepted and Care Credit financing is available. We truly pride ourselves in offering quality conservative dentistry in the most economical manner possible for you and for your loved ones! With gentle hands and decades of experience, Dr. Sonia G. Rodriguez has been providing quality dental care to thousands of children and adults in Laredo, and the Dallas-Ft Worth metroplex, for over 30 years.